The year 1895 was a turning point in Trego’s career as he began painting nonmilitary works for the first time while seeking illustration jobs and students for private lessons in order to address his increasing financial problems. 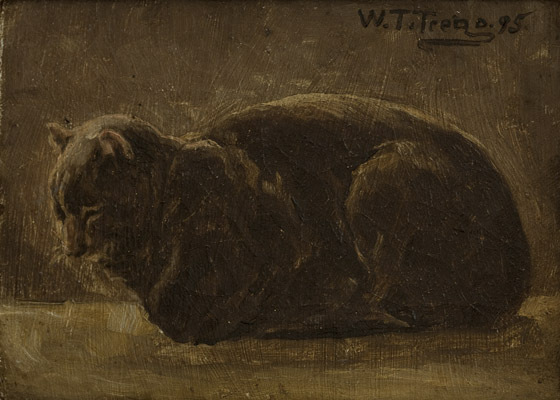 A similar sleeping cat appears in another painting he did that same year, Woman at the Window, and it may be that the same domestic pet—a neighbor’s or his own—served as the model for both. Alderfer Auction Company to Malcolm Polis Gallery to the current owner. The painting was cleaned in 2010 by the Gratz Gallery and Conservation Studio and is in excellent condition.